So, I gave myself a challenge; read only the books I already had. 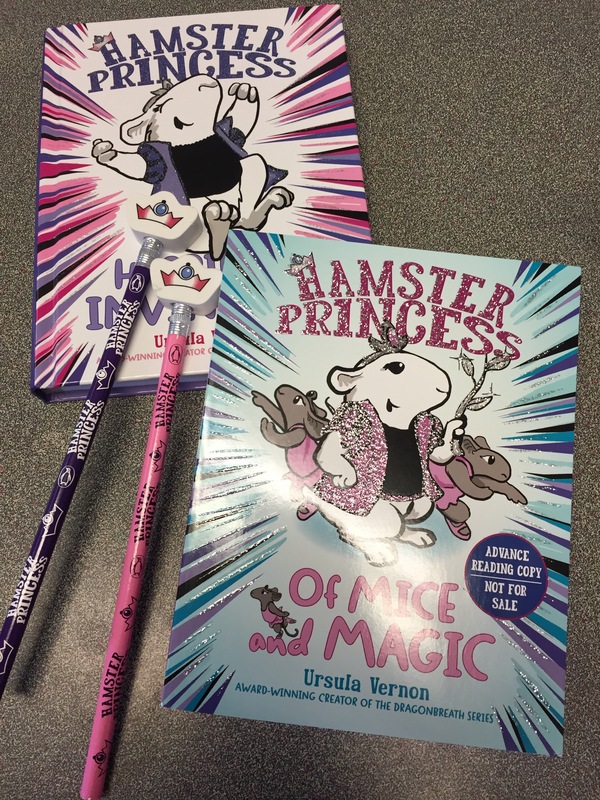 Yes, yes that is an ARC of Of Mice and Magic the second Hamster Princess book by Ursula Vernon. And yes, yes I am going to read it tonight. So, I’m breaking my challenge already, but it’s for a very, very, very good cause. It’s for Twelve Dancing Mouse Princesses. And really, what could be more important than that? Also, I’m pet sitting tonight, so I’m not technically at home. So, maybe it doesn’t count as cheating? That’s like, if you don’t put it on a plate it doesn’t have calories, right? It’s totally a rule.